5 Ways N.E.M.T. Can Improve Your Quality of Life! News » 5 Ways N.E.M.T. Can Improve Your Quality of Life! Quality of life is probably the most important thing there is. 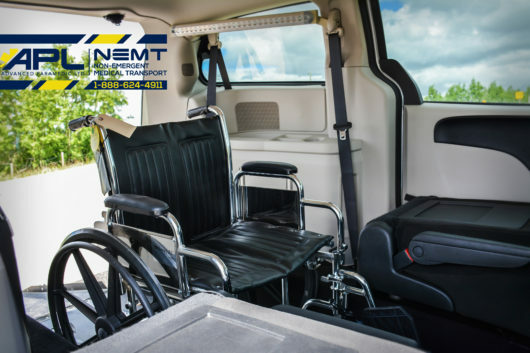 That’s why Advanced Paramedic Ltd. is offering a new service that will help re-connect those needing wheelchair accessible transportation to the world…because people matter. We offer peace of mind. Our “through the door” service ensures people in our care get to their destination and home safely. We’re there for accompaniment and companionship. Whether your loved one is a storyteller or they just need help with their shopping, we’re here to lend an ear and a helping hand. We provide a personal service. We understand that each customer has unique care needs and preferences. We give our customers their independence back. We make meaningful experiences and the confidence to live life to the fullest accessible again. We have fun with our customers!